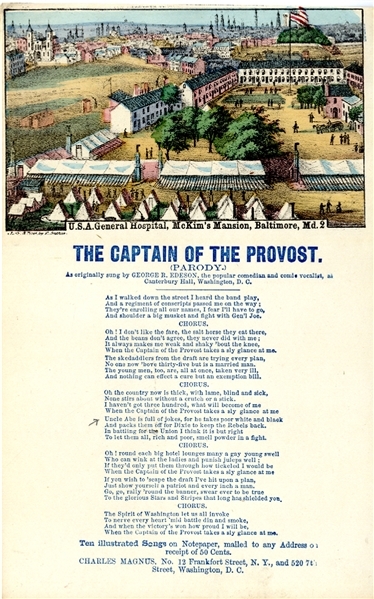 Hand-colored songsheet “The Captain of the Provost” a parody by George Edeson, 1pp. octavo, with image of the “U.S.A. General Hosptial, McKim’s Mansion, Baltimore Md.” Fine condition.